Gas Tank Mounting System - GAS IT Leisure Gas Bottles, Gas Cylincers and Gas Tanks - Catering, Motorhome, Campervan, Caravan, Farrier and Road Repair Refillable Gas Solutions. All our GAS IT vapour tank mounting frames comply with or exceed all current UK and EU regulations, NCC C.o.P 306 and UK Road constructions & use legal (1986) needs for Vehicle’s category M1 and N1 - 8g and 20g crash requirements and are a fully homologation product. We are waiting for this item to at our warehouse. We currently estimate this item to be back in stock during the week of 27 Apr 2018. Delivery of this item would be after this date. We are waiting for this item to at our warehouse. We currently estimate this item to be back in stock during the week of 21 Apr 2017. Delivery of this item would be after this date. We are waiting for this item to at our warehouse. We currently estimate this item to be back in stock during the week of 06 Oct 2018. Delivery of this item would be after this date. We are waiting for this item to at our warehouse. We currently estimate this item to be back in stock during the week of 09 Jan 2017. Delivery of this item would be after this date. We are waiting for this item to at our warehouse. We currently estimate this item to be back in stock during the week of 24 May 2018. Delivery of this item would be after this date. 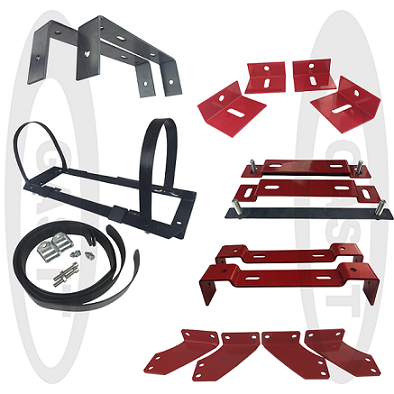 Demountable Mounting System for EASYFIT 200mm Diameter Gas Tanks - NOT 15 Ltr. Fast Fit, Feeted Tank brackets. We are waiting for this item to at our warehouse. We currently estimate this item to be back in stock during the week of 21 Jul 2017. Delivery of this item would be after this date.